Explaining the Parts of a Reflecting Telescope - What Types of Mirrors Are Used? 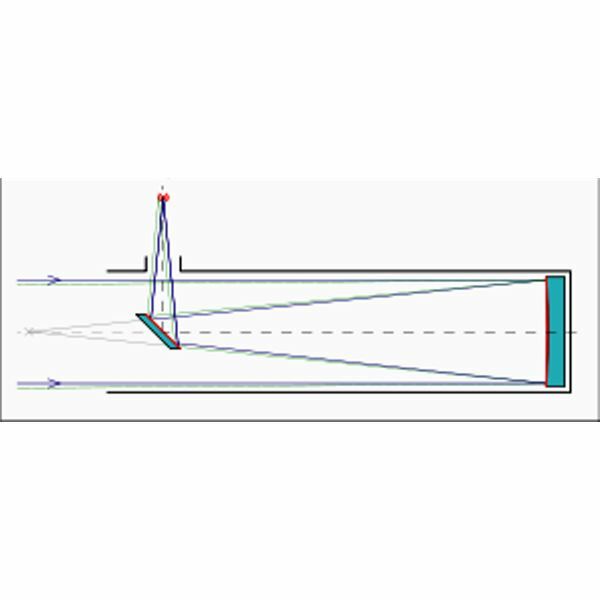 Explaining the Parts of a Reflecting Telescope – What Types of Mirrors Are Used? A reflector telescope uses a primary mirror to collect the light from distant stars and galaxies. In 1616, just seven years after Galileo built his first refractor, Niccolo Zucchi attempted to build a reflecting telescope using a metal reflector. He found it impractical. Ten years later, Robert Hooke built a workable reflector. It was small and the astronomer’s head blocked much of the incoming light, as you can interpolate from the sketch. The astronomer had to look directly down the telescope. Then in 1668, Sir Isaac Newton had one of his many flashes of genius. If he put another smaller flat mirror in the path of the light reflected from the primary mirror, he could redirect the image to a comfortable viewing position. He did, and the Newtonian Reflector, the basis of all astronomical telescopes since, was born. The secondary mirror is called the diagonal. But Newton’s reflector and all built after him for centuries suffered from one failing. The primary mirror was spherical. This meant the light rays did not all come to a common focal point. This caused spherical aberration and other problems that interfered with seeing. It was not until the latter part of the 19th century that telescope makers learned to grind parabolic mirrors. Parabolic mirrors focused the light rays to a single point. Gone was spherical aberration and some of the other problems, but some others remained. Newtonian reflectors tend to be quite long for a given focal length (fl). The light from the primary must travel some distance to reach the diagonal. But if the secondary can reflect the light back through a hole in the primary, the telescope’s length can be greatly reduced for a given fl. The Cassegrain reflector does just this. In this design, Newton’s angled secondary mirror is replaced with a hyperbolic secondary that directs the light back through a small hole in the primary. The Cassegrain design puts the focal point at a more easily accessible point than it would be in a standard Newtonian. It also makes a more compact instrument for a given fl. A major improvement came around 1910 when George Ritchey and Henri Chretien designed a Cassegrain reflector with both a hyperbolic primary and a hyperbolic secondary. Hyperbolic mirrors eliminate coma and spherical aberration. Many of today’s major instruments, including the Hubble Space Telescope (HST), are Ritchey-Chretien telescopes. More recently, a third element has been added to some reflectors. That is a lens at the front of the telescope. 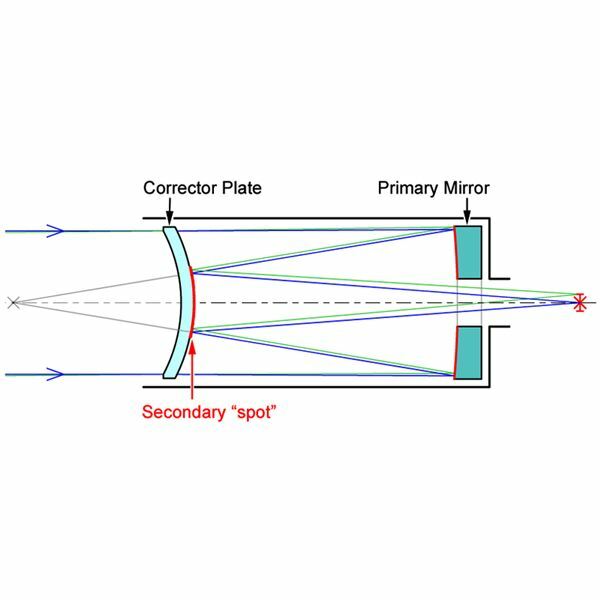 The lenses correct for various aberrations inherent in any reflector. These three element reflectors are called catadioptric reflectors. 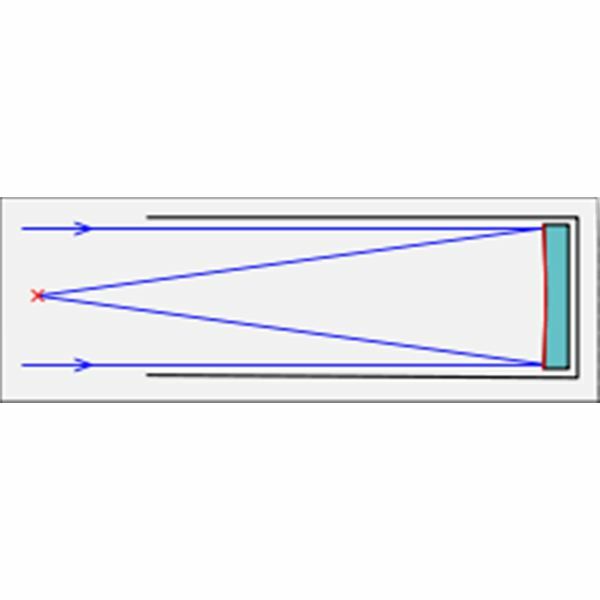 There are two basic kinds of catadioptric reflectors—the Schmidt-Cassegrain and the Maksutov. The Schmidt uses thin corrective lenses and generally has a very short fl and so provides a good wide angle view of the heavens. The Maksutov has a thick meniscus lens and is better for planetary viewing. Today’s reflectors are beyond anything Newton could have dreamed of, but their parts are the same he designed centuries ago—a primary mirror and a secondary mirror to redirect the light. Newton’s diagonal has been replaced by hyperbolic secondaries in the big professional instruments, and the catadioptrics have added a front lens to specialized scopes. But the primary instrument for amateur use remains the Newtonian reflector, with its parabolic primary and flat diagonal. There are two kinds of telescopes–refractors and reflectors. Each have different types of parts. 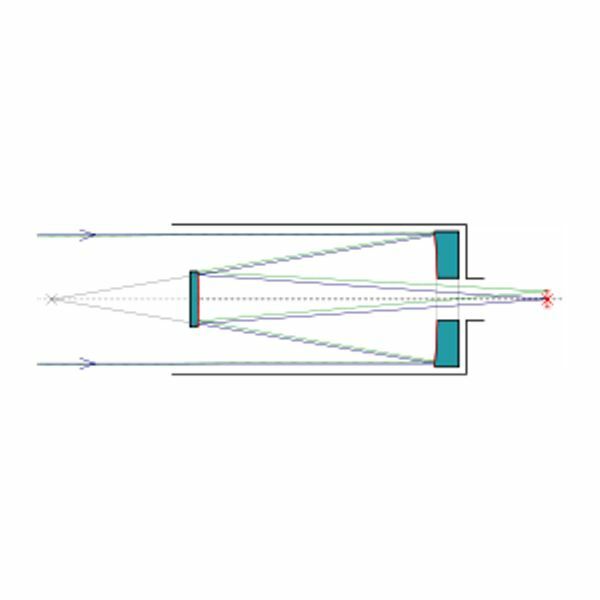 Refractors are made with lenses, while reflectors gather light with mirrors. There are many types of each.